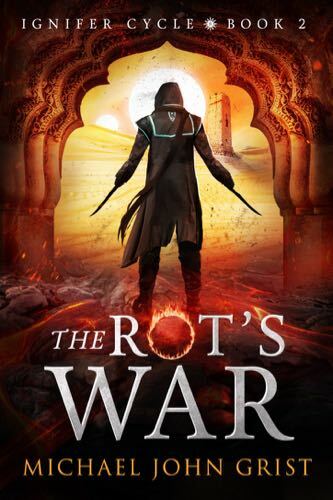 The Rot’s War is Book 2 in the Ignifer Cycle. Moments after Sen stepped through the revenant arch, an inky darkness flooded out across his world. Over the wreckage of a city broken by revolution it surged, engulfing the grand Grammaton tower, smothering the King’s Aigle palace and drowning every last caste in the dark. Sen alone escaped; a young man prophesied to raise the Saint and save his world for good.